The Advanced Back Holster is constructed of leather and padded Ballistic nylon and built to last a lifetime. 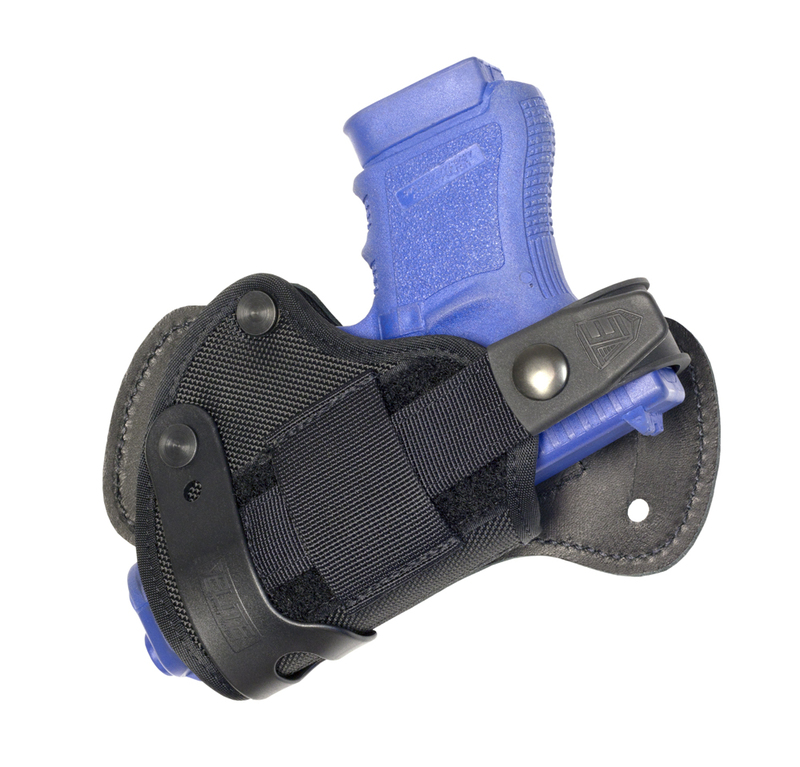 The holster has a truncated muzzle design to maximize concealability, proprietary PowerBand for tension adjustment, and Velcro adjustable, reversible Thumb-Break retainer straps. Proprietary SightStrip protects your weapon's sights each time you draw and reholster. Sizes are available to fit most pistols. The belt-attachment panel accommodates belts up to 1.75" wide.